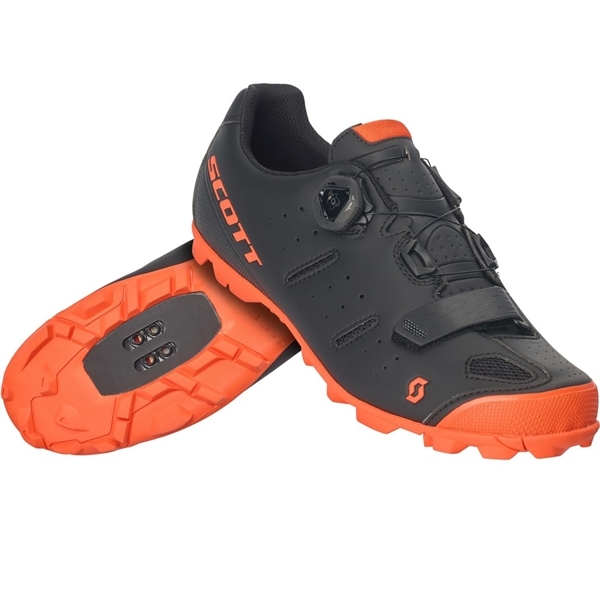 Product information "SCOTT MTB Elite Boa matt black neon otange"
The SCOTT MTB Elite Boa® bike shoe is an all-mountain model that lets you experience a whole new way of wearing comfort. It scores with a more comfortable fit and can be easily and safely adjusted thanks to the Boa® IP1 lacing system. The ErgoLogic insole is characterized by an adjustable arch and a metatarsal insert. The new, adaptable upper with profiling is reinforced in stressed areas. The sole has a minimalistic profile in the subtle racing look, while Sticki Rubber provides the best grip on roots, rocks and boulders. Related links to "SCOTT MTB Elite Boa matt black neon otange"
Customer evaluation for "SCOTT MTB Elite Boa matt black neon otange"